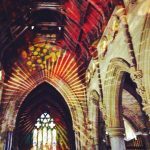 This guest post is an extract from Astrology and Storytelling, a new book by astrologer Alice Sparkly Kat. When we talk about astrology, there’s this idea that astrology is something to be believed in. Do you believe in astrology? Why do you believe in astrology? I don’t believe in astrology. But astrology is only the study of change and its meaning. These changes are visible in the sky, through the movements of the stars and other phenomena. Without the moving star and its field of gravity, we would have no space-time, no planet, and no life. Our biologies are evolved not just for our cities, our lands, or even our world. Our biologies are evolved for our universe. If the moon didn’t move just the way it does, our hormonal cycles could not function as they do and what we regard to be normal registers of reward, satisfaction, and yearning would be lost to us. We couldn’t afford to be such soft creatures if Jupiter’s gravity didn’t protect us from the asteroid belt. Every time Uranus enters a new sign, every cell in our body is living new. When one of a set of twins left the Earth, he returned to find that his DNA had become different from his brothers. Humanity is shaped by our location in space, the same way cultural identity is formed through geography. When we leave our position, we become something else. So, astrology is not something to be believed in. We didn’t start believing in religion the way we are assumed to be able to today before the emergence of capitalism. Inside capitalism, the market itself, as a speculative object, is something that needs to be believed in to exist. This speculation turns other cultural practices into cultural objects, ones that also need to be believed in to exist because their existence clings so tightly on the market as real. These things include race, gender, and religion. Astrology itself, as a system of abstraction, is only a metaphor for life. It doesn’t need belief – it only requires participation. It’s through metaphor that things which happen on a minute scale are related to the grander cosmos. 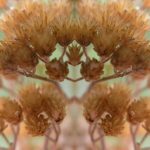 Like other cultural practices, such as mathematics, language, and art, astrology simply gives us permission to get carried away in spontaneous play with the synchronicities between our bodies, its perceptions, and the great beyond. There are as many astrologies as there are cultures. These astrologies sometimes confirm one another but more often contradict each other, just like other types of cultural practices do. There is no right astrology or an astrology that is more accurate than other astrologies, just like there is no right culture or a culture that is more accurate than other cultures. There are, however, astrologies that are more dominant than other astrologies. When this happens, there are historical, economic, and politics causes. 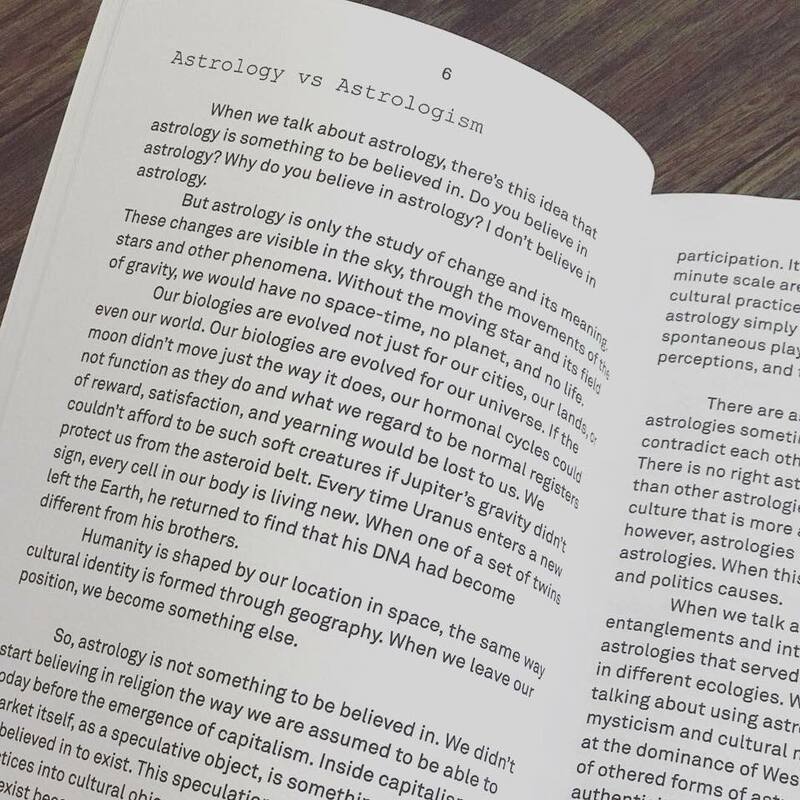 When we talk about astrology, we are talking about the entanglements and intersections of vastly different astrologies – astrologies that served different purposes in different places and in different ecologies. When we talk about astrologism, we are talking about using astrology to reinforces authority through mysticism and cultural monopoly. Astrologism is a way of looking at the dominance of Western astrology but also the fetishization of othered forms of astrology for its supposed cultural purity and authenticity. Astrologism is the belief of magic without the human element, of magic without the political phases of culture, and the worship of the power of belief without respect to consent nor criticality. Astrologism is easy to fall into. It’s an invisible position – assumed to be as natural as belief and politically unstrategic. The logic and necessity for a mass amount of belief in our capitalist and western dominant world is what makes this easiness and invisibility possible. It is harder to interrogate archetypes through contradictions and respect our beliefs by critiquing them. Doing so requires an extraordinary ability to be wrong and to acknowledge that each and every one of us has a limited perception. As a practicing astrologer, it is much harder to not believe in astrology than to believe in it. However, my decision to not believe in astrology does not take away from my practice, but it gives it infinitesimally more room to grow. Not believing in astrology means that I am giving up much of the power that astrology and mysticism holds – a power that was often strategically branded by marginalized identities in reaction to mass disempowerment. Not believing in astrology means that I am engaging in a cultural practice with the intention to heal – something that I didn’t feel capable of as an artist. Not believing in astrology means that a reading begins with the client’s life, not the textbook interpretations of signs, planets, and aspects, and uses the stars the same way you would use a painting. Not believing in astrology as an astrologer means that my practice involves much more listening and asking questions than it does talking. It means that I admit the power of astrology comes from the power of suggestion, just as the power of money, race, and gender come from the power of suggestion. This power of suggestion has very real consequences. I have to constantly remind myself that I am an astrologer and not a follower of astrologism. It is much easier to believe in things that come from a book than to make enough space in life to hear the body’s protests, to talk in intellectualisms than to accept the mystery of the universe. It is much easier to talk in universals, especially when it comes to spirituality, than it is to demand I account for my own specificity. However, the pay off is always worth it. When I practice more and preach less, when I learn my own elasticity through stages of always being wrong, and when I appreciate that anything easily understood has already become something else – that’s when I feel the universe’s sense of humor. 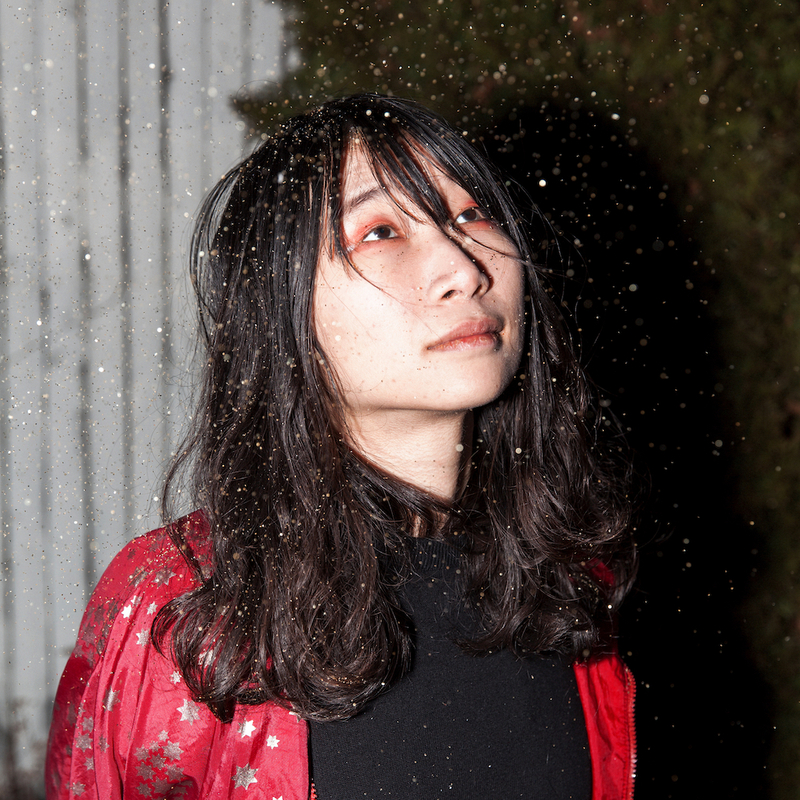 Alice Sparkly Kat is a queer astrologer of color. They use astrology to speculate on the ways culture inhabits biology. This work has inhabited MoMA, Hauser and Wirth, and Babycastles Gallery. 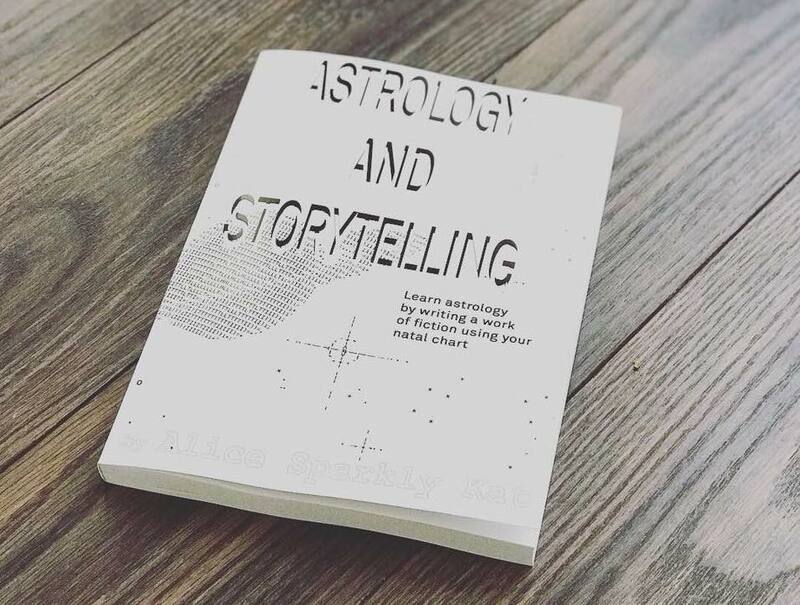 Their Astrology and Storytelling course is made for diasporic people to learn astrology by writing a work of fiction – currently, they are working to turn this course into a book. Follow them on Instagram at @alicesparklykat or read through their website at www.alicesparklykat.com for astrological lessons, articles, worksheets, and other resources. 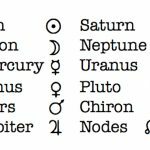 Corina Dross and I made a website and it's gorgeous and will help you learn astrology.